CHARLOTTETOWN, PRINCE EDWARD ISLAND — The new icon of the recently rebranded Prince Edward Island Brewing Company is a top hat. It’s drawn a touch off-kilter and with a silhouette of a beer bottle above its brim. 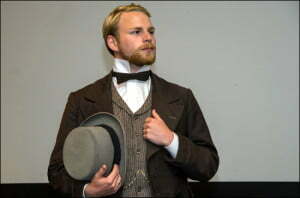 Students of Canadian politics will instantly connect the image to the father of the nation, who could look dapper or dishevelled, depending on his level of sobriety. In 2014, Canadian political history will be unmistakeable to all PEI visitors — even if they’re simply pulling up to a bar for a cold brew. 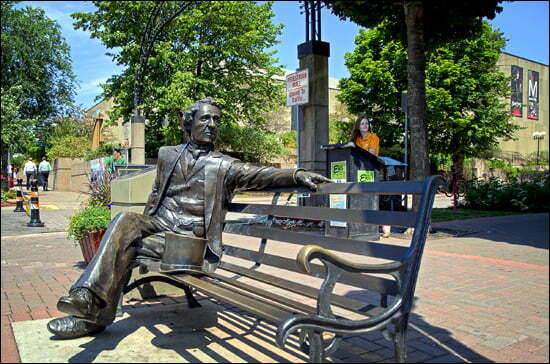 While Sir John A. Macdonald‘s legacy stretches across the country, it could be argued that what he accomplished in Charlottetown in 1864 stands right behind the formation of a national railway as the greatest achievement of his career. In a nine-day period in late summer, Macdonald and a coterie of 22 other politicians — who at one point all posed in top hats for a photograph — gathered in Prince Edward Island to forge the terms for a union of colonies that would create an independent Canada. They debated “unreservedly,” as Macdonald put it, and came to an agreement on how to proceed. It was an achievement unthinkable today, when politics plods and rancour reigns. 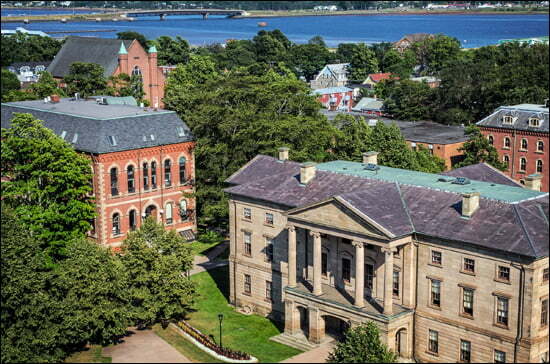 What occurred in Charlottetown 150 years ago can’t be understated — and in 2014 it won’t be. The sesquicentennial of the Charlottetown Conference, the pivotal event that led to the 1867 constitution, will include a year-long celebration that revs up on Canada Day and continues through September 6, the height of Founders’ Week when the likes of Macdonald, George Brown and George-Étienne Cartier gathered in Province House to muscle out a deal. “We will have a Celebration Zone that includes free family activities, concerts, cooking demonstrations. The island’s chefs will be involved. There will be interactive entertainment. It’s going to be one giant party,” says Patti Devine, director of communications for PEI 2014, the organization that has invested $1.4 million into planning the festivities in Charlottetown’s pretty downtown core. History will be a significant part of the celebrations — right down to the festive atmosphere itself. Turns out there was a circus in town during the 1864 conference and Macdonald and other delegates had to stay onboard a ship because the rooms were all booked out. A similar level of enthusiasm for visiting Charlottetown is expected this summer. PEI, which hosts more than 1 million travellers annually, is poised to set a record for tourism activity in 2014. It will be the most festive spot in the country — and one of the most festive in North America — and for that reason Charlottetown has topped the list of the Vacay.ca 20 Best Places to Travel in Canada in 2014. In its third year, the list has emerged as a great forecaster and influencer of Canadian travel. For 2013, Fortress Louisbourg in Cape Breton, Nova Scotia was the No. 1 destination and it saw a 37 per cent increase in visitation from its 2012 levels. In 2012, Calgary topped the list and witnessed record numbers of travellers, many of whom arrived for the 100th Calgary Stampede. Voters, including myself, named destinations for their significance in 2014, including notable anniversaries, events and festivals. Some entries were also recognized for their unheralded or emerging tourism infrastructure, and their uniqueness as a travel offering. Charlottetown and its surrounding area best matches the criteria. Businesses and residents are gearing up for a show that isn’t going to be repeated on this island. The PEI Brewing Company — formerly Gahan Brewery — is opening a massive entertainment space on its premises that will fit 700 people. Local celebrities, including chef Michael Smith, are ready to jump into the festival. A $24.3-million convention centre opened this summer and hosts a New Year’s Eve extravaganza to kick-off the 150th celebrations. And the communities are set to show that PEI has more than Anne of Green Gables and outstanding shellfish to offer tourists. I’ve visited PEI in each of the past two years and discovered splendid red-sand shores, bucolic scenery and challenging golf courses, as well as some attractions you wouldn’t expect to find. Basin Head Provincial Park is home to Canada’s No. 1 beach, which includes a pier that kids and adults revel in leaping from. Restaurants such as Lot 30, Inn at Bay Fortune, Terre Rouge Bistro Marche and the Pearl Cafe serve cuisine that will make you crave a return visit. Meanwhile, Annie’s Table presents a unique culinary experience where you can cook up dishes using local ingredients while under the tutorship of chef Norm Zeledon. You can take Tranquility Cove Adventure‘s fascinating and fun clam-digging tour that includes a clam bake on the shore of mostly deserted Boughton Island. In 2014, people will come for the sesquicentenary parties, but it’s more likely they will depart having discovered the authentic and captivating experiences of Canada’s smallest province, a little place where something mighty big was born 150 years ago. History: The conference included delegates from Nova Scotia, New Brunswick, PEI, and the Province of Canada — divided between Upper Canada (Ontario) and Lower Canada (Quebec). PEI eventually backed out due largely to absentee landowners who lived in Britain and France (the island was added to the constitution in 1873). Following the Charlottetown Conference, a subsequent meeting in Quebec City took place in October 1864. It finalized resolutions that appeased concerns of Quebec citizens. A third meeting occurred in London, England, where Macdonald championed the passing of the British North America Act. When the BNA act was passed, the Dominion of Canada was formed on July 1, 1867. Where to stay in Charlottetown: The Holman Grand Hotel (123 Grafton Street) is the city’s newest hotel and has a large rooms and numerous eco-friendly features. To book, visit the hotel’s website or call toll-free 1-877-455-4726. Also in the downtown is the historic Great George Hotel. Where to dine: Lot 30 (151 Kent Street) is a must and most dinner entrees are less than $30. For reservations, call 902-629-3030. The full list can be found here. Other notable entries include No. 2 Quebec City, No. 3 Fogo Island in Newfoundland & Labrador, No. 5 Winnipeg. Welcome, All, to our gentle island!